AZMOL Famula M 10W-40 – universal motor oil class SHPD (Super High Performance Diesel) for use in mixed fleets, having in its composition high - and medium-loaded diesel equipment classes Euro-3, Euro-4, as well as equipment with gasoline engines. Designed for diesel engines of trucks, buses, special and off-road vehicles with exhaust gas recirculation (EGR) and cleaning systems using diesel particulate filters (DPF) and catalytic converters (DOC). 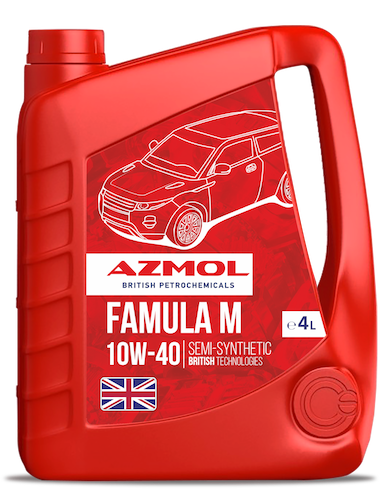 AZMOL Famula M 10W-40 - semi-synthetic motor oil.